The European Investment Bank has under appraisal a EUR 200 million proposed financing for Marseille renewal metro fleet. The total value of the project is EUR 679 million and envisages the acquisition of 38 four-car driverless metro trains, with an option for additional 22 trains. For this project, Métropole Aix-Marseille-Provence launched the tender for the procurement of the metro trains and the related automation equipment that will be operated by the Régie de Transports de Marseille (RTM). February 13 is the deadline to submit the offers. The city is implementing the Nouveau Metro de Marseille (Neomma) project covering the rolling stock renewal on Line 1 and Line 2, the supply of CBTS, the replacement of the signalling centre at La Rose and a new traffic control centre at Saint-Charles. 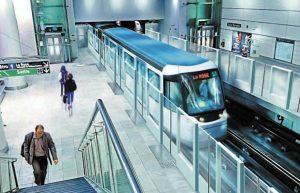 Tenders for the Nouveau Metro de Marseille (Neomma) project cover renewal of the existing rolling stock on Lines 1 and 2, provision of CBTC, replacement of the signalling centre at La Rose, a new traffic control centre at Saint-Charles, plus automation and alterations to the depot and stabling areas. The Métropole Aix-Marseille-Provence and RTM committed to replace the metro trains with driverless sets starting 2025 for the first full automatic line and 2026 for the second line.